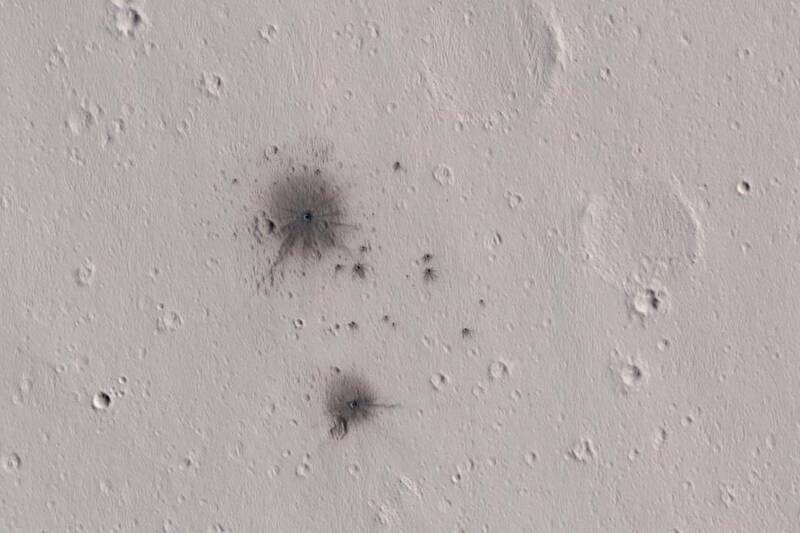 Just to remind you that things are still indeed going “boom” in our Solar System, here is a cluster of fresh craters on Mars created by an impact that occurred sometime between 2008 and 2014. The craters are a result of a meteorite that broke apart during entry, striking the surface as fragments within a localized area. 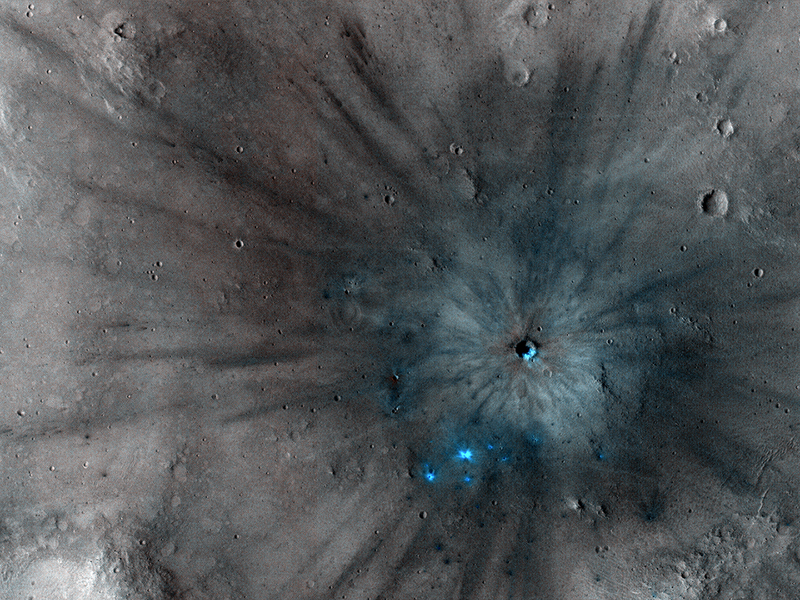 The largest crater’s ejecta field spans about 100 meters across. 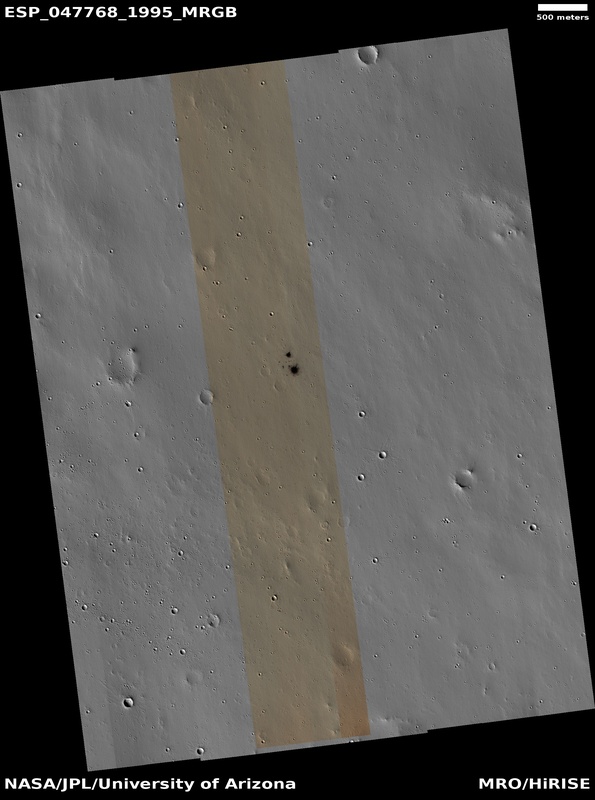 The image, captured in infrared wavelengths by the HiRISE camera aboard NASA’s Mars Reconnaissance Orbiter on Oct. 4, 2016, shows at least 20 individual impact sites. The craters were first discovered with a different camera, but this is the first image of them using HiRISE. See a map-projected view of the region here.